Formula 1 world champion Lewis Hamilton has verbally committed to a race using a car with no steering wheel, gearstick, or pedals. Hamilton and quadriplegic opponent Rodrigo Hübner Mendes will race using headsets that allow the user to control the car using their brains. It is unclear when this race will take place – but it is certainly one we will tune in for. Four-time Formula 1 World Champion Lewis Hamilton has agreed to take part in a two-man race. There is, of course, a catch. The cars involved would have no steering wheels, no gearsticks, and no pedals. Usually, this would cause problems – but not if you’re Hamilton or his quadriplegic opponent, Rodrigo Hübner Mendes. This is because if the race goes ahead, Hamilton and Mendes will use headsets that translate brainwave signals into commands, allowing them to accelerate, brake, and turn using nothing but their minds. Hamilton verbally committed to the competition while speaking at the two-day Global Education and Skills Forum event in Dubai last weekend. According to Techradar, Hamilton was giving a speech about what it takes to be a champion. At the end of the session, the floor opened up to questions. Mendes was one of the people to ask a question, though he posed it as more of a challenge. Mendes, the first person to control a F1 car with his brain, wanted to race Hamilton using Emotiv Epoc+ technology – a neuroheadset which measures brainwave signals, allocates them to commands, and allows users to control various devices, like a car, using their brain. The initial challenge was for Mendes to race with a headset against Hamilton in his F1 car. Hamilton “clearly wasn’t expecting the challenge,” according to Techradar, but accepted on the terms that they both wear headsets. 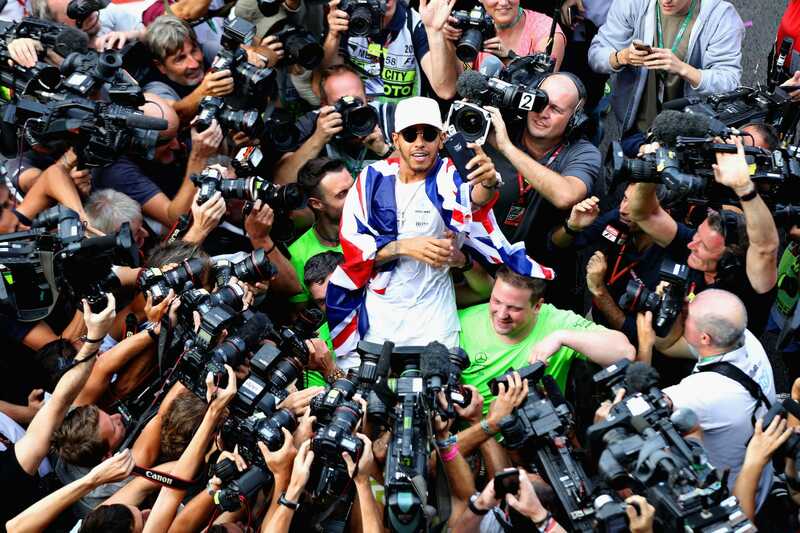 The 2018 F1 season begins this weekend and Hamilton will be hoping to defend his world title. It is therefore unclear when the Briton will take part in the race against Mendes – but it is one we will certainly tune in for.